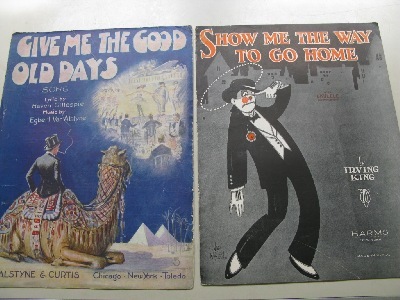 Sheet music covers can enhance any collection. No matter what you collect there will be sheet music for your collection. The covers can make a fascinating display for the home, office or back bar. They’re affordable and readily available in thousands of categories and cover graphics. Pick a subject, any subject. It’s all here, a pop-culture commentary of how we viewed America in the Twentieth Century. I collect cocktail shakers and vintage bar ware so to complement the collection I search for Cocktail and Prohibition Sheet Music such as; Rum & Coca Cola by the Andrew Sisters, Scotch & Soda by the Kingston Trio, or earlier covers such as Prohibition Blues a double collectible selling for around a hundred dollars or lower cost ones such as; What’ll We Do On A Saturday Night When The Town Goes Dry. You will notice some early covers are in a large format 10” x 13”. These are from before our entry into World War One in 1917. Around this time to conserve paper sheet music was reduced in size to 8” x 10”. You can follow our Nations’ history in song; fashion trends, events, dances, shows and movies, wars and disasters. If there was a train wreck, ship sinking, aeroplane or Zeppelin crash, or a fire tragedy there was a song about it. Though few people today walk around humming a 1911 near hit, The Triangle Fire, or the almost unforgettable 1915, As The Lusitanian Went Down, He though of the girl who loved him, He thought of their wedding day. 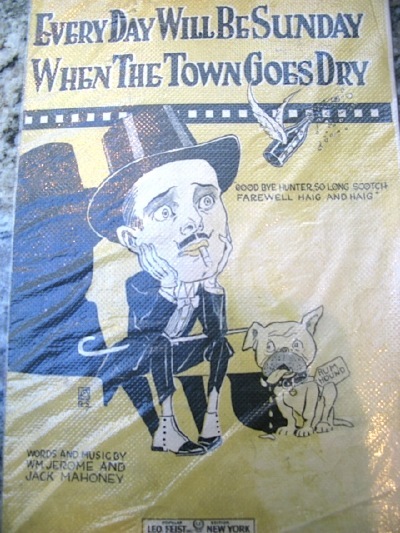 There are collectors everywhere vying for these swell little sheet music covers. 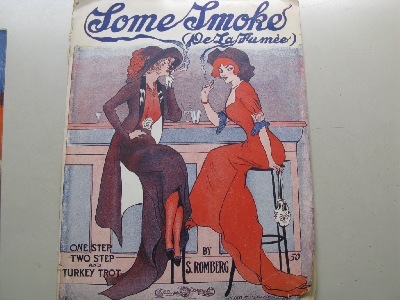 In the Gibson Girl Era, before suffrage, when the downtrodden woman’s place was in the home, when they had just about no power at all, what dominated the sheet music cover scene at the turn of the Century? Girls. Girls and more Girls. 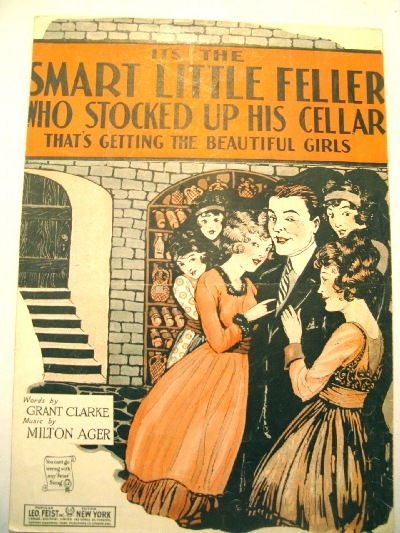 Female faces, seductresses and sirens, heroines and beautiful girls, and later on…Flappers! Titles like; Miss Coquette, Somebody Knows, Let Me Call You Sweetheart. It was the Pin Up Art of the day. 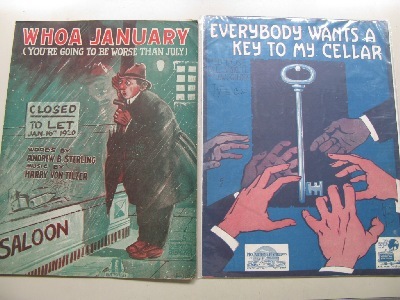 Covers sell the song it was said, covers sell the contents, -Oops, wait, that’s just like today.- and sell they did. 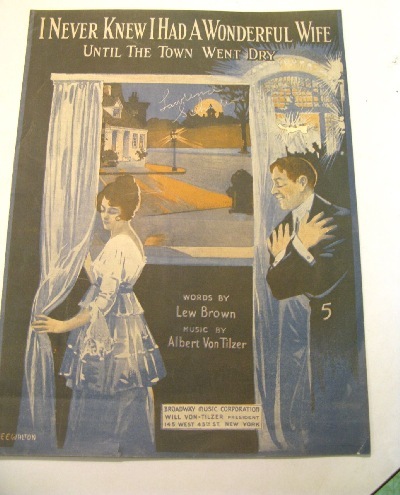 Still selling today, sheet music girlie covers are a favored collectible. Composer Gary Klein, ex-Senior V.P. Creative Services & New Media, EMI Music Publishing, says “Ragtime is the most sought after vintage sheet music by today’s’ collectors. 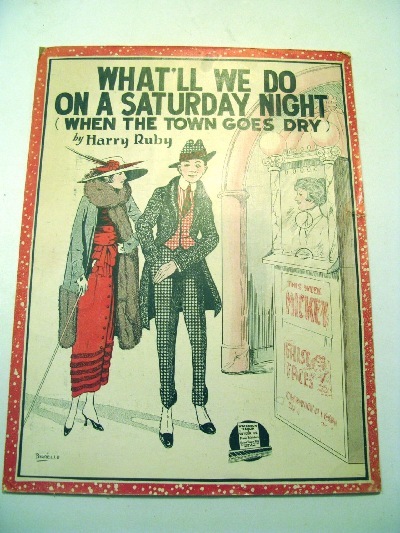 The ragtime era dominated the music scene of the first decade of the Twentieth Century and was spread widely through sheet music and player piano rolls.” Basically a piano style emphasizing syncopation and polyrhythm, ragtime was the foundation of modern jazz. 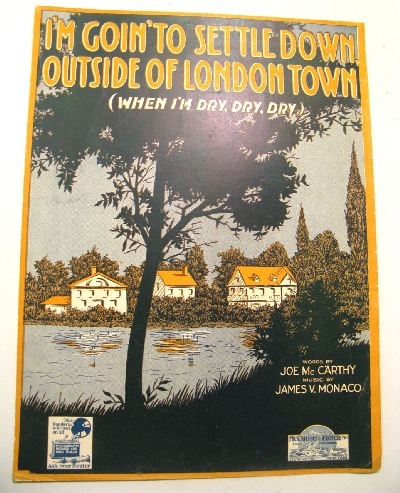 Prototypes of the era include Maple Leaf Rag, 1899, selling over eighty thousand copies the first year alone, and The Entertainer, 1907 by Scott Joplin. The latter was used as the theme for the 1973 Robert Redford movie The Sting, creating a resurgence of interest in ragtime. Paul Riseman started collecting ragtime sheet music, in the 1960s, after hearing and talking with a piano player of the era. After the collection grew and infringed on his record collection he started to sell, and is now one of the largest dealers in the country. Riseman says, “There are general collectors who buy everything they can get their hands on. But with such a diverse range to choose from, many collect not only by cover subject, they collect by composer, titles, lyrics, or even cover artist.” For subject collectors of, for example, Transportation, there are subdivisions within divisions; trains, ocean liners, airplanes, -collectors of aviation may seek by cover or title; Lindbergh-Eagle of U.S.A., Lucky Lindy., Like an Angel You Flew Into Everyone’s Heart, or Amelia Earhart’s Last flight. Others seek Black medleys, Broadway shows, or movies, (any Fred Astair flic has at least five or six songs), and if your collecting by composer, Irving Berlin wrote over 1,000 popular songs starting with Alexander’s Ragtime Band in 1911. Big time ragtime composers are eagerly sought such as; James Scott, Joseph Lamb, Eubie Blake, and Tome Turpin. Riseman recently sold a Scott Joplin rag time tune, Something doing, for $1.500. Condition is a major factor, but keep in mind that items that are 50 to 75 years old, especially paper items, aren’t normally found in mint condition. 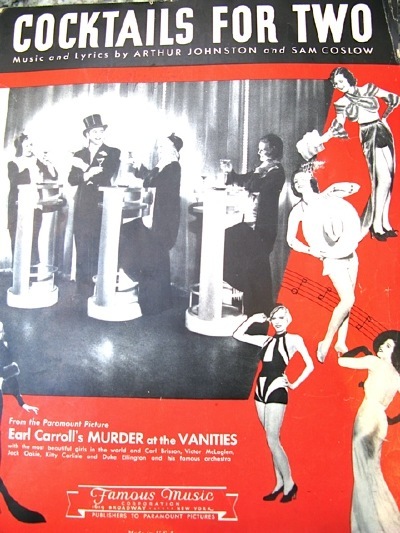 In the first third of the Century, when at least one person in the family played the piano, Riseman says, “Many would break the spine of new and crisp sheet music so it would stand upright on the music stand above the keyboard and when going to parties would write their name across the front to be sure it’s return at the end of the night.” So if it’s right across the forehead of a Gershwin subject it hurts the value. Bit if the sheet music survived these and other torments, such as spilled gin martinis, and as it was replaced by newer tunes, it slept safety in the piano bench, or grandmothers’ attic, surviving to live for future generations. Riseman calls sheet music a cross-collectible. “Breweriana collectors who seek advertising trays, steins, mugs and matches, also value sheet music covers. 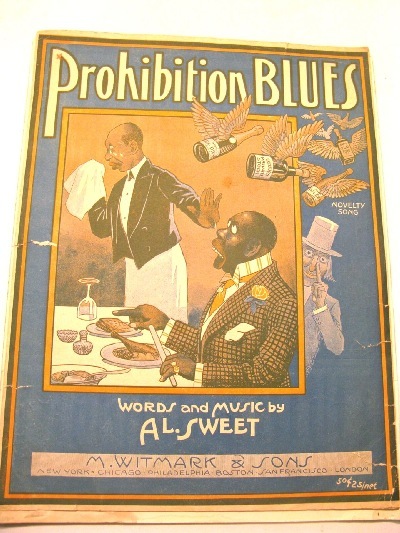 They want booze songs such as Under The Anheuser-Bush, or No Beer- No Work, a 1919 Prohibition song by Sammy Edwards. Whiskey collectors seek Green river, after the liquor company.” Cigar and smoking collectors call him looking for the subject cover, as do golf and military collectors. There’s a cover for every collector, and a few framed covers will round out and enhance any collection. Copyright, all rights reserved, may not be used without direct permission of Stephen Visakay.